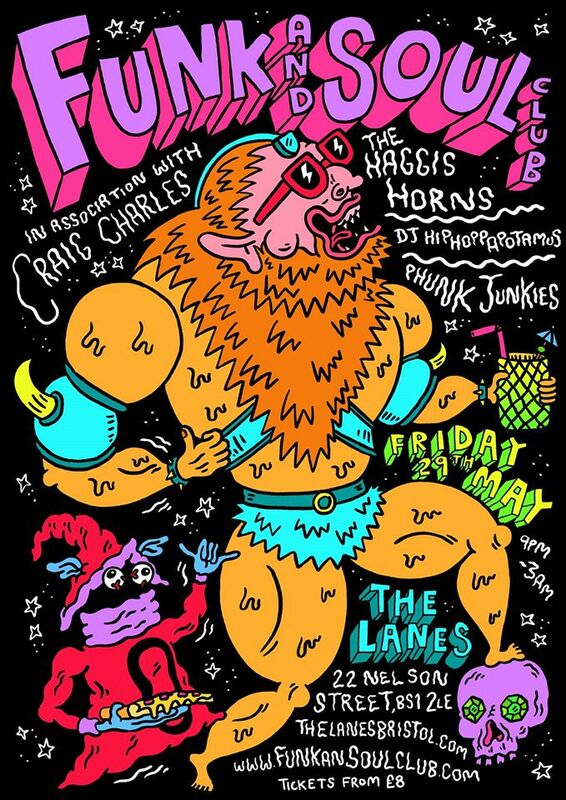 The members of The Haggis Horns have performed with the likes of Jamiroquai, John Legend & The Roots, Amy Winehouse, Morcheeba, Roots Manuva, Lou Donaldson, Elbow, Nightmares On Wax, Dennis Coffey, Adele, Corinne Bailey Rae, Mark Ronson, Finley Quaye, Robbie Williams, Duran Duran, The Cinematic Orchestra, Estelle, Lily Allen, KT Tunstall & Snowboy, to name a few. The Haggis Horns are not to be missed. His talent for making crowds dance has seen him take on two French Alpine tours, perform at some of the Uk’s best festivals (including Boomtown, Secret Garden Party & WOMAD) and support top artists such as Dub Pistols, Groove Armada, The Cuban Brothers, David Rodigan and many more. Upon meeting the hippo Sir David Rodigan instantly became a fan and has now aired two of his tracks on his show on BBC Radio 1Xtra, and has said he will be featuring more of his work in due course. The Hippo’s debut EP ‘Tropical Wiseguy’, released October 2014 on Booty Fruit records, went straight to #2 on juno’s breakbeat chart and with a follow up EP and collaborations with top vocalists underway, 2015 is set to be a big year for this tropical hippo. Better known for their solo names Bear Twists and Kotch, these guys know what it takes to get people dancing producing funky breaks to get any crowd going.